It also works fine without bezel too. DVD±R 8x, DVD±R DL 6x, DVD±RW 6x, CD-R 24x & CD-RW 4x. For price match the Item must be available and the total price to match must also include carriage cost. NOTE - DOES NOT FIT IF YOUR LAPTOP HAS THE OLD IDE CONNECTION. We have pictured the front as best we can for anyone who cannot replace their drive with an identical unit to help with matching their bezel to our drive, normally the best way to match your bezel is to match your old drive with the front bezel removed. MODEL G8CC0000Q410. 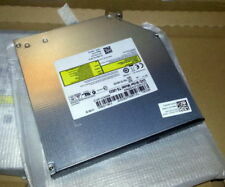 TOSHIBA SMP10 S1 TECRA INTERNAL LAPTOP DVD CDRW DRIVE. This also excludes any compatibility problems with OS, software drivers or region issues. PHOTO IS OF ACTUAL ITEM. Connection: SATA. SLIM INTERNAL LAPTOP DVD WRITER DRIVE. Made by: Pioneer. Internal Laptop. DVD/RW Drive. Easy to mount your bezel and bracket on the drive. Genuine Part. TEAC COMPAQ PRESARIO 900 INTERNAL LAPTOP DVD CDRW DRIVE. TESTED AND WORKING SYSTEM PULL. This also excludes any compatibility problems with OS, software drivers or region issues. PHOTO IS OF ACTUAL ITEM. Device Type: DVD±RW (±R DL) / DVD-RAM drive. Enclosure Type: Internal. Width: 12.8 cm. 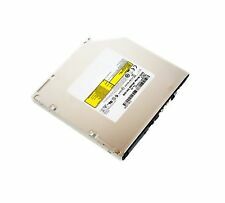 LG / DELL LATITUDE INTERNAL LAPTOP CDRW DVDROM COMBO DRIVE. SILVER BEZEL. This also excludes any compatibility problems with OS, software drivers or region issues. PHOTO IS OF ACTUAL ITEM. Internal Laptop. Super Multi "Slim" DVD/RW Drive. Easy to mount your bezel and bracket on the drive. Genuine Part. Internal Laptop. HP and other makes supplied - all compatible. DVD/RW Drive. Easy to mount your bezel and bracket on the drive. Genuine Part. CDRW, DVD-ROM. Laptop Optical Disk Drive. Fully tested and working Laptop Optical Disk Drive, pulled from new or factory refurbished machines. Part Number No collections allowed. Will Fit . You can take them from the original drive you are replacing.